Unique travel to amazing places for the discerning. Wow food to try and places to eat. Chengdu Temple House: Simply Amazing. Nuremberg in Germany: Medieval town with history. The Bareiss Hotel in the Black Forest; A Thoughtful Hotel. Milan: The Italien way: Fashion, Food & wow Design. Umm something missing. Paleis Hotel, The Hague. Loved Delft. A Moment of Perfection. Lake Gatun Panama. Lisbon. A Grown-Up Love Affair. Calm after the storm. Ritz-Carlton Grand Lakes. Music and Oysters. It can only be the French Quarters New Orleans. Der Schwarzacher: What went wrong or is it a blip? Liemers at Hotel Am Reiterkogel. Hinterglemm Great Sun terrace and yummy deserts. La Nouvelle Auberge, Alsace. A Michelin Star Restaurant Run with Passion. There are Restaurants and there is Arpège. Sublime Perfection. Sublime cuisine. Zum Flossa.So good I went 2 night running. Tantris: Michelin Star like your local. Love it. There is seafood and theres Restaurant du Port de Peche. 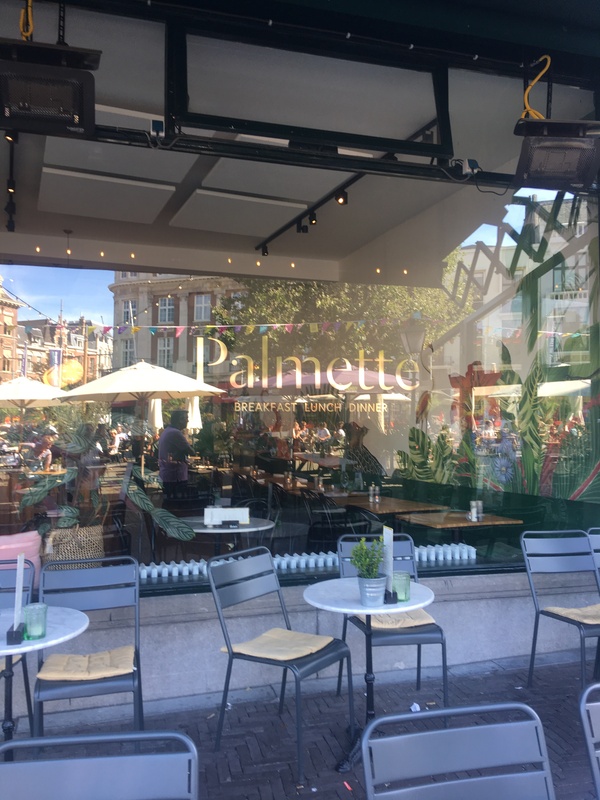 Palmette and eating in The Hague. Taste and it’s glories. De Lindenhof in The Netherlands. JncQuoi: I liked it’ He didn’t. Ribadoura: Our Go To Seafood Restaurant in Lisbon. Nusr.Et Dubai. Meat with flair and the ‘salt sprinkle’ from Salt Bae. July and all it’s glories. 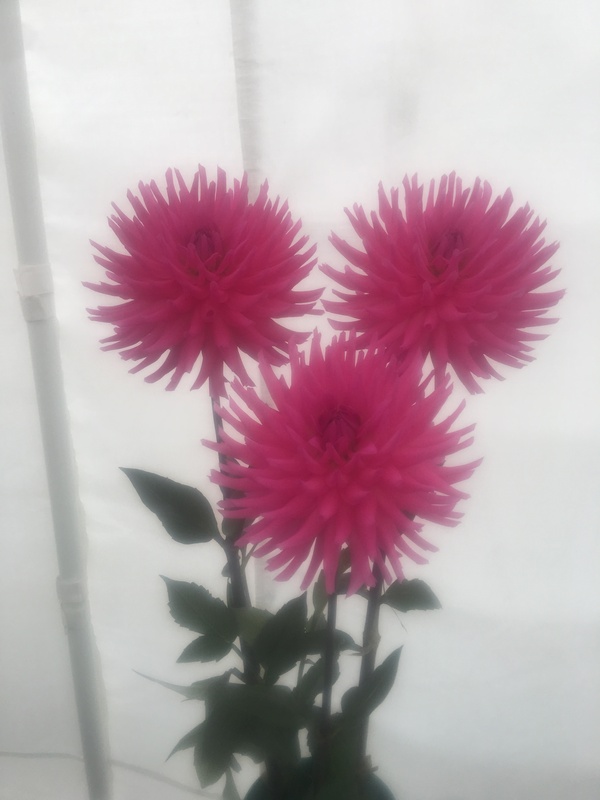 Hello June: It’s summer time. March Glorious March: Spring Has Sprung! 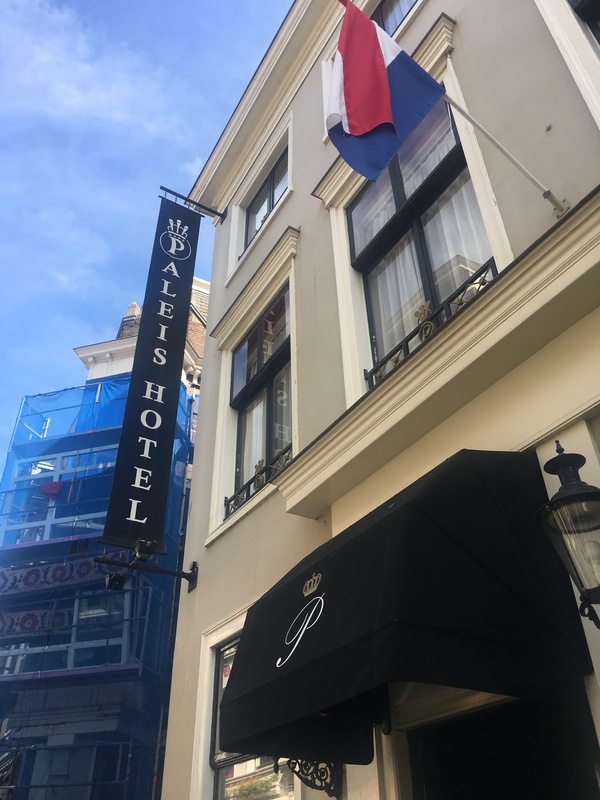 I was really looking forward to staying at The Paleis Hotel. I had read so much about it but somehow nd I am not really sure why it didn’t work for us. I can’t put my finger on why as it ticked so many boxes. The location is great right in the heart of the old part of The Hague. We had arrived by car from Germany and the welcome and assistance to park were faultless. Our room was large and a fan had been placed to cool the room down as it was very very hot. The staff were friendly and the hotel itself cute. But but but. There was something that didn’t quite gel. Our first day, after a very nice breakfast of perfectly cooked soft boiled eggs we went to Delft. We returned about 3 and our room wasn’t done which put me off as this is a small hotel and I found the response as to why, abrupt. When it wasn’t eventually done it was just pulling the duvet cover up. It’s not a big deal but I expect like most people the fun of being in a hotel is to have things done nicely. The devil is always in the detail. We had changed our booking at the last moment and they were really great about that and there was nothing wrong as such but I guess at the end of the day for me it didn’t have a great feel which is a shame. The Hague itself in the old part is really gorgeous with windy streets lots of cafes museum and mostly in the old part pedestrianised. It’s a very gentle city and we had some really great meals and discovered lots of shops. Its a great place to visit and stay a few days and we enjoyed meandering around taking the tram to various places including visting Scheveningen which is a an area with beaches endless cafes and restaurants. The great thing is that everything is easy. Transport is super easy and everyone very helpful. We, of course had to go to see Vermeers’ Girl with an earring in the Mauritshuis which was an amazing experience. The museum is really worth a visit. I also did some shopping buying some great boots from noe Dutch Belgian brand. I did love The Hague and the surrounding areas. We went for a day trip to Delft on the tramm which was great fun. Delft famous for its porcelain and the canals and we took a lovely tour on one of the boats which was a pleasant way to see this lovely city. We had a really great lunch in the main square and what I did notice is that the food here is generally very good. I had an amazing carpaccio on blonde bread which was fabulous and some great dinners which I will write up about at slater post. Catch up with you soon. Next Post Palmette and eating in The Hague.